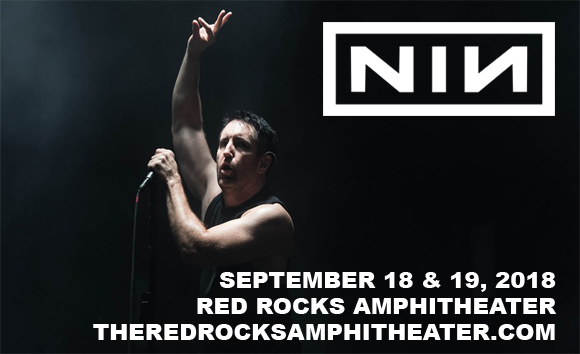 Nine Inch Nails are back for the second night in a row at Red Rocks Amphitheater on Wednesday 19th September 2018! The band have a huge buzz around them with the release of their brand new EP, Bad Witch, and they'll be performing tracks from the release on the Red Rocks stage as part of their Cold and Dark and Infinite Tour! Expect stunning visuals and atmospheric sounds from this iconic duo, who will be joined for the show by The Jesus and Mary Chain! Nine Inch Nails is the brainchild of founder and primary producer, singer, songwriter, and instrumentalist, Trent Reznor. Formed in Cleveland, Ohio, in 1988, the band now has two official members – Reznor and English musician, songwriter, record producer, and audio engineer Atticus Ross, who was made a permanent member in 2016. The band found notoriety in the 1990s with the albums The Downward Spiral (1994) and The Fragile (1999), winning Grammy Awards for the singles "Wish" and "Happiness in Slavery" in 1992 and 1996, respectively. The band has 10 million sales certified in the United States alone, with over 20 million copies sold worldwide to date. Bad Witch, the band's ninth studio album and most recent release, will be out in 2018.